We all know that with a name like Smucker's, it has to be good... Well, the J.M. Smucker Company has announced it's launching over a hundred new products with an emphasis on simple ingredients and good-for-you snacking. Here are a few that we're pretty excited about! Jif Peanut Powder: Our beloved powdered peanut butter is going mainstream! In Regular and Chocolate, a 3-tbsp. 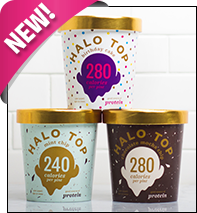 serving has 70 - 80 calories, 2g fat, 0 - 70mg sodium, 4 - 7g carbs, 2 - 3g fiber, 1 - 4g sugars, and 7 - 8g protein (PointsPlus® value 2*). Coming to Walmart & Target locations nationwide next month! Smucker's Fruit & Honey Fruit Spread: This new natural spread is sweetened with honey, and check out the flavors: Blueberry Lemon, Strawberry, Triple Berry, and Tropical. Mmmm! Each tablespoon has just 35 calories, 8 - 9g carbs, and 8g sugars (PointsPlus® value 1*). Bonus: These are already on shelves at Walmart. Pillsbury Purely Simple Cake Mixes: If you want cleaner cake mix, check these out! The stats are a tad higher than your average mixes, but the ingredient lists are a whole lot shorter. We'll take 'em… and lighten up the final desserts with our own tricks. Find these now at Walmart and Target locations nationwide. 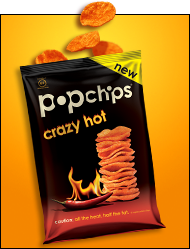 In more future-product news, Crazy Hot Popchips are coming soon! We've tried 'em -- they're super tasty (and not too hot). Click to be notified when they become available on Amazon. ***Announcing this year's Xtreme Eating Award winners (more like losers), a.k.a. the nine least healthy chain-restaurant meals out there. Watch out for IHOP's 1,300-calorie Chorizo Fiesta Omelette, the Cheesecake Factory's over-2,000-calorie Louisiana Chicken Pasta, and Sonic's large Pineapple Upside Down Master Blast... also over 2,000 calories. Eeeeks! Click for more. ***Six decadent new Frappuccino flavors have hit the Starbucks menu. Available for a limited time, check out the fan-inspired Blended Coffee (Cinnamon Roll and Caramel Cocoa Cluster) and Blended Créme (Red Velvet Cake, Cotton Candy, Lemon Bar, and Cupcake) flavors. Dying to try 'em? Order a Mini made with nonfat milk and no whip; that treat will have 110 - 170 calories and 0 - 2.5g fat (PointsPlus® value 3 - 5*). Then vote for your favorite! ***Good news: Calorie-count listings may finally be influencing people to order smarter. A study at Cornell University found that when the fat content and calorie counts were listed in dining halls, students made healthier choices. Could this have to do with the age of the subjects? The fact that they're students, i.e., willing to learn? Either way, it's a step in the right direction. ***Need another reason to avoid nighttime snacking? A recent study found that skipping late-night eats could help curb the effects of sleep deprivation. So if you wanna be sharp in the morning, resist the call of the fridge at night! ***And in case you missed it, we've got a slew of fun new food-hack videos up on Hungryvision. Spaghetti squash in a slow cooker, tacos made from waffles, DIY zucchini noodles... Check 'em out! And that's all we've got. 'Til next time… Chew the right thing! Keep your pals informed -- click "Send to a Friend" stat.